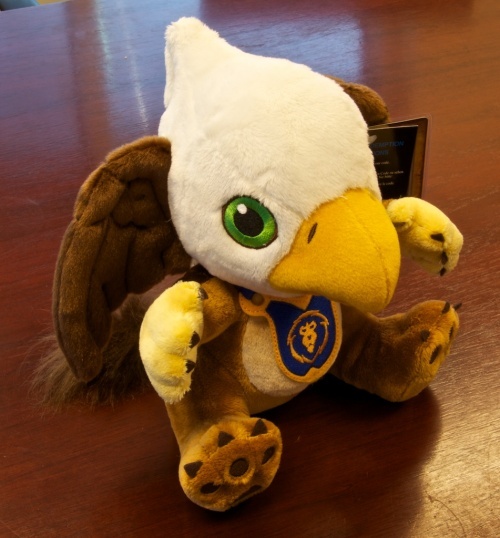 The kind folks at Blizzard sent us the new Warcraft Baby Gryphon and Wind Rider Cub plushies, and I'll say this: They are cute as the dickens - the proverbial dickens, not Charles. 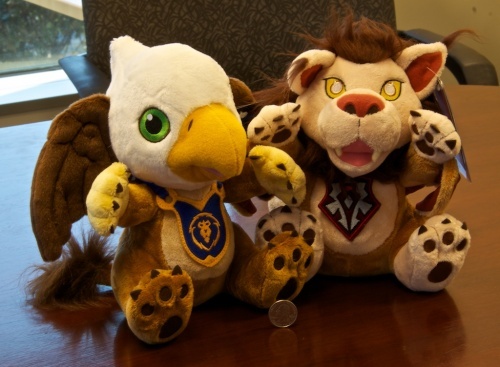 Last week, we learned that Blizzard was further expanding into the market of "adorable stuffed animals" with plush representations of baby versions of the game's iconic flying mounts: The Horde's wind riders and the Alliance's gryphons. 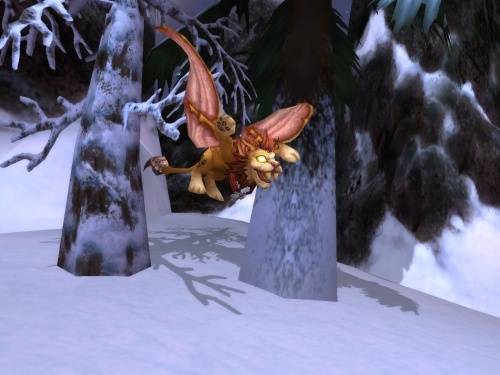 Well, Blizzard was awesome enough to send the little furred-and-or-feathered guys over to us here at Chez Escape, and I am happy to inform you all that they're just as cute in real life as they are online. 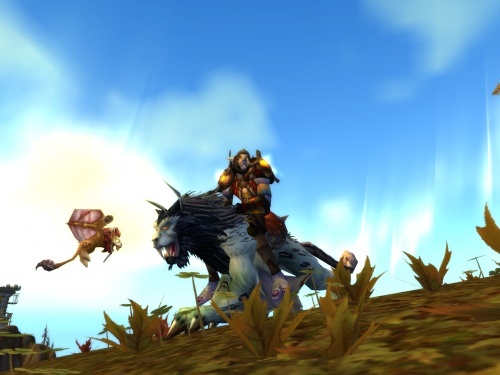 I can also report that Escapist Senior Editor Susan Arendt totally squealed over how cute and huggable they are, despite having never played World of Warcraft in her life. What's actually surprising is just how high-quality the plushies are; this is no cheap cash-in. Whatever material they used to make these cute l'il critters is incredibly soft (only increasing to the huggability quotient), as is the hair on the gryphon's tail and the wind rider's mane. They come in these cool little black satchels, have their respective faction emblems on their chest, and are all but guaranteed to brighten up your day. I'm genuinely impressed, and these are the perfect new gift for your friend or loved one that plays World of Warcraft, especially if they have a soft spot for adorable animals. Hell, you could even get them for kids that don't play WoW, were you so inclined. 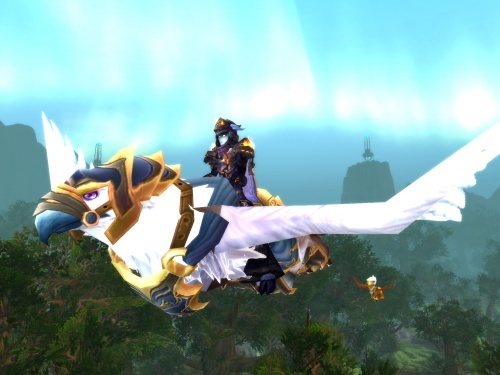 Honestly, I still can't decide which is cuter: The gryphon has a cuter face (and my Alliance allegiance has me leaning that way), but the wind rider is right up there, too. Ah well, there's no shame in getting both, right? 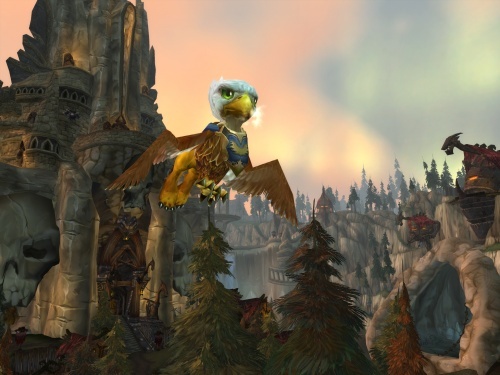 The pets will go on sale via the Blizzard Pet Store next Monday, so keep that bookmarked. 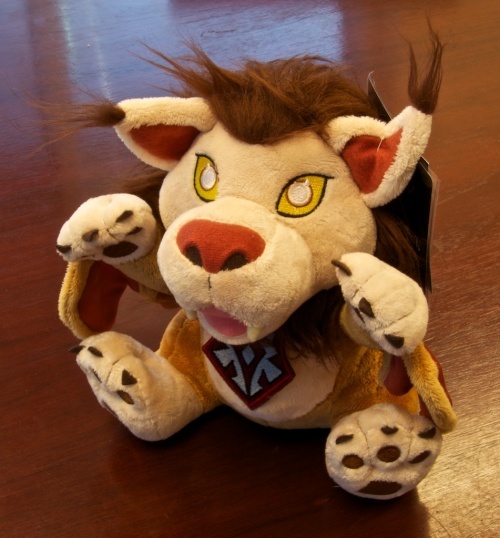 Unfortunately, we don't yet have our hands on the product keys to activate the WoW in-game counterparts, but that really doesn't matter: Something this cute just begs to be snuggled up with, and you can't curl up with pixels. Trust me, I've tried.